T-Mobile US Chief Executive John Legere, Sprint executive chairman Marcelo Claure, T-Mobile US chief operating officer Michael Sievert, and other senior executives met with Federal Communications Commissioner Jessica Rosenworcel on Thursday, according to a federal filing on Monday. If completed, the $26 billion merger would create a carrier with 127 million customers that would be a formidable competitor to the No.1 and No.2 wireless players, Verizon Communications Inc and AT&T, respectively. A group of eight Democratic senators and independent Senator Bernie Sanders in February urged the Justice Department and FCC to reject the deal, saying monthly bills for consumers could rise as much as 10 percent. Consumer advocates warn the deal will reduce the number of national wireless carriers to three from four. Sources told Reuters last week that the Justice Department had concerns about the merger in its current structure. A person briefed on the matter confirmed Legere met on Thursday with the head of the Justice Department’s antitrust division, Makan Delrahim, as the government’s review nears a conclusion. A decision is likely by early June, people briefed on the matter said. In its presentation to Rosenworcel, T-Mobile cited Verizon’s decision to charge $10 extra per month for 5G service. “This won’t happen when new T-Mobile introduces 5G,” the presentation said. To win support for the deal, T-Mobile had said it would not increase prices for three years and has pledged to use some spectrum for wireless broadband in rural areas. The firms say the combined entity would add 11,000 additional employees by 2024 compared to the standalone firms. In case you needed another reason to get excited about Avengers: End Game’s rapidly-approaching release date on April 25, you can now add a Fortnite crossover event to that list. 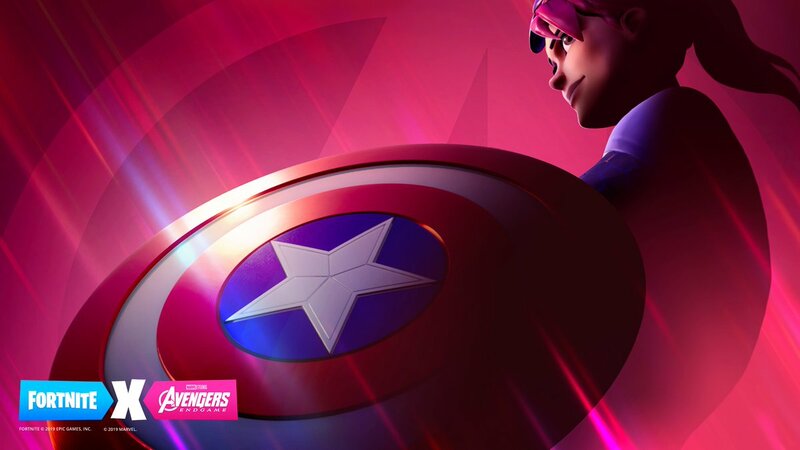 Today on Twitter, Fortnite teased a second crossover event with Marvel for Avengers: End Game that will start one day before the film hits theaters. The silver lining here is that we don’t have long to wait to find out what the cryptic clue means, as the update lands on Thursday. That’s good for the True Believers out there… and maybe not so good for folks who don’t like being inundated with advertising. News of the phone’s delayed release was reported earlier Monday by The Wall Street Journal. That report follows a tweet from Engadget’s Richard Lai on Sunday about the postponement of launch-related events in Hong Kong and Shanghai scheduled for Tuesday and Wednesday, respectively. The incidents with the Fold’s plastic screen have caused a kerfuffle among tech lovers, casting doubt on the durability of Samsung’s $2,000 foldable phone and on the concept of bendable devices in general. CNET’s Galaxy Fold review unit has remained intact, and we’ve been in contact with Samsung about the reported screen issues. Samsung’s Galaxy Fold woes began Wednesday, two days after it distributed a small number of review devices to reviewers, including CNET. Reviewers discovered that peeling the plastic film off the Galaxy Fold’s 7.3-inch interior screen, which is made of a thin sheet of bendable plastic rather than glass, instantly made the phone unusable. Another discovered that the left half of the Galaxy Fold strongly flickered, and another noticed a bulge under the screen that caused noticeable distortion in the screen’s image, possibly from debris that worked its way under the display. Foldable phones are a brand-new concept rocking the phone world. The design is supposed to give people double the screen space on a device that’s small enough to carry around, unlike today’s pocket-busting devices. But the enormous expense — the Galaxy Fold starts at $1,980 — and concerns over the durability of a bendable screen and hinge could threaten the ability of foldable phones to get off the ground. Huawei has also announced a foldable device, the Mate X, and Motorola is rumored to have a foldable Razr in the works. The incidents with the Galaxy Fold are also putting Samsung under intense scrutiny as consumers and industry pundits draw parallels with Samsung’s double recall of 2016’s Galaxy Note 7, after numerous reports that its battery overheated and sometimes caught fire. Screen issues tied to the Galaxy Fold have “broken” the phones, but have not been reported to cause a fire or any other damage to people and property. Multitasking on a larger screen is one benefit of a foldable phone like the Galaxy Fold. CNET is keeping an eye on developments with the Galaxy Fold. While we’re continuing to review the early production device, we will not assign a rating until after we test the final production phone we ordered. See how it’s going with our Galaxy Fold so far. Update, April 22 at 7:52 a.m.: Adds the WSJ report about the launch delay. Update, April 22 at 10:22 a.m.: Adds confirmation from Samsung. We suppose you could say that it’s still the Game of Thrones calm before the ultimate storm, but things are certainly going in the right direction. With conflicts between pretty much every character you can think of being set up, the second episode is now ready for you – and you can see your options to watch Game of Thrones season 8, episode 2 online. The date to mark for the second episode is Sunday 21. It was aired in the US on HBO at 9pm ET, 6pm PT and if you were hoping to watch as it was broadcast…we’re afraid you missed it. Below, you can see all your options for catching up on episode 2 together with a more thorough list of countries and where to watch from. Winter’s been coming for an awfully long time, but now the Game of Thrones crew has a new catchphrase: The Night King is coming. A preview for the third episode of the final season showed all our favorites prepping for battle against forces that seem unstoppable. Fires burn and catapults are prepped, Grey Worm grimly dons his helmet. Sansa notes that it’s time to “look the truth in the face.” Jon Snow looks horrified, Theon draws a bow and Brienne of Tarth rallies the troops. “The dead are already here,” Daenerys declares. Yikes. The third episode of Game of Thrones’ final season airs Sunday, April 28 on HBO. BEIJING (Reuters) – Japan’s Toyota Motor Corp said on Sunday it was setting up a research institute in Beijing in partnership with Tsinghua University to study car technology using hydrogen power and other green technologies that could ease environmental problems in China. The initiative, outlined by Toyota’s President and Chief Executive Akio Toyoda in a speech at Tsinghua University, is part of the Japanese carmaker’s efforts to share more technology with China as it seeks to expand its business in the country by beefing up manufacturing capacity and distribution channels, a source close to Toyota said. The Tsinghua-Toyota Joint Research Institute will conduct research into cars and new technology to solve environmental problems in China, including reducing traffic accidents, Toyota said in a statement. The institute will “cooperate in research not only related to cars for Chinese consumers, but also in research related to active utilization of hydrogen energy that can help solve China’s energy problems,” the company said. The move dovetails with Toyota’s announcement this month that it would offer carmakers and suppliers around the world free access to nearly 24,000 patents for electric vehicle technologies. Executive Vice President Shigeki Terashi told Reuters earlier this month that the automaker intended to become a tier 2 supplier of hybrid systems and that it had already received enquiries from more than 50 companies. Google’s Earth Day Doodle focuses on a half-dozen endangered organisms from different elevations. Google is marking Earth Day by highlighting a few of the more extreme living things we share the planet with. Google’s Monday Doodle features an animated slideshow exploring six different endangered organisms from different Earth elevations, some of which have only recently been discovered by humans. The Doodle also includes fun facts about the organisms and offers the curious the chance to learn more about them in search. Earth Day, which is observed on Monday this year, was founded in 1970 in response to an oil spill that occurred a year earlier off California’s coast, spewing more than 3 million gallons of oil and killing more than 10,000 seabirds, dolphins, seals and sea lions. The annual one-day celebration aims to raise awareness of environmental issues, with events around the globe promoting recycling, pollution reduction and care for the planet. The theme of this year’s Earth Day is Protect Our Species and is intended to draw attention to the rapid global destruction and reduction of the world’s plant and wildlife populations. EarthDay.org links the declines to human-driven phenomena such as climate change, deforestation, habitat loss, poaching, unsustainable agriculture, pollution and pesticides. “All living things have an intrinsic value, and each plays a unique role in the complex web of life,” EarthDay.org said in a statement. “We must work together to protect endangered and threatened species. The organisms featured in this year’s Doodle include the Wandering Albatross, which has the largest wingspan of any living bird; the Coastal Redwood, the tallest tree in the world; the Paedophryne Amauensis, the smallest frog and vertebrate; the Amazon Water Lily, among the world’s largest aquatic plants; the Coelacanth; a rare fish that at 107 million years old is one of the world’s oldest living species; and the Deep Cave Springtail, an eyeless insect that’s among the world’s deepest-dwelling terrestrial creatures. Some of these species were discovered in the past decade, and one thought extinct for 66 million years was rediscovered 80 years ago. Google also shared some of the most searched for questions about wildlife, including how many teeth do snails have, how do octopuses mate, and is a gorilla a monkey. Do you know the answer to these questions? Have fun learning about our often delicate neighbors on the planet Earth.